It’s becoming increasingly difficult to leave the house these days, thanks to an abundance of services that brings just about everything from the outside world to your door/eyes. We’ve been in thrall to Netflix and its companions/competitors for a while now, and that subscription model has also recently been employed for books (albeit less successfully) and even video games. Now there’s a new digital comics app that will let you gorge on titles from Valiant, Zenescope, and more. 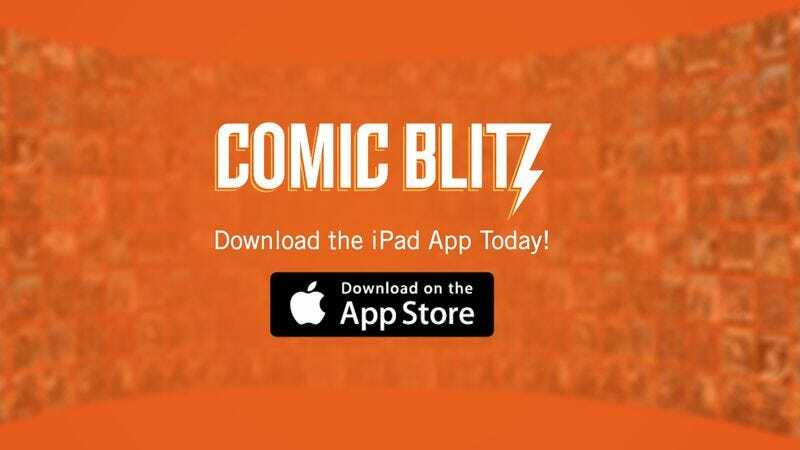 Comic Blitz is an all-you-can-read subscription service for voracious comic-book readers who might not want to deal with their local Comic Book Guy and/or commit to owning that new graphic novel everyone is urging you to buy. For $9.99 a month (the first month is free), you can choose from a catalog of 2000 comics, including Red Sonja and Grimm Fairy Tales. The app is currently only available for iPads, but iPhone and Android versions are in the works.